The New Tune Talk Value Pack *Limited Time Only* now with FREE 36GB Data up to 12 months*! 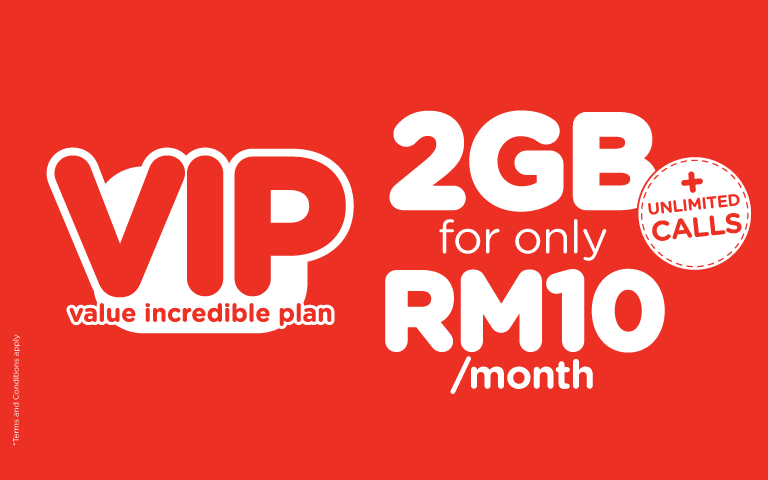 What is Tune Talk VALUE Pack (TTVP) tariff plan? How can I become Tune Talk VALUE Pack (TTVP) subscriber? TTVP is a new prepaid pack launched on the 14th January 2019. The New TTVP Pack is valid for new Tune Talk subscribers activated from 14th January 2019 (“Effective Date”) and existing Tune Talk lines that have requested to switch to the TTVP pack. After 14th January 2019, all new packs purchased will only be on the TTVP. What are the benefits of the new TTVP? What are the benefits of Free Basic Internet and how will I get it? 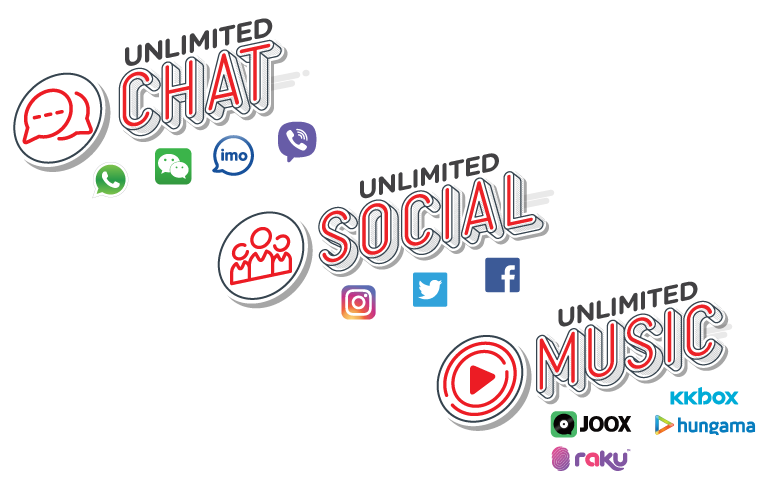 Free Basic Internet (FBI) is a service that enables Tune Talk users that have exhausted their existing data packages (bonus, mobile internet, paid or free) or no data packages to enjoy always-on connectivity at no cost. Tune Talkers will be allocated 10GB of FBI data quota at 64kbps that is refreshed every 30 days from the first date of registration. Does this mean no more pay-per-use charges? Yes! With FBI, you will no longer be charged pay-per-use rates even if you don’t have any Data Plans or any bonus data buckets. If I have Free Basic Internet (FBI), can I opt-out and use pay-per-use data instead? Users who are utilizing TTVP packs will not be able to opt out of FBI or utilize pay-per-use data. What happens if I have exhausted my 10GB FBI quota? Once 10GB FBI is exhausted before the quota is refreshed, you will no longer be able to use any data and will need to subscribe to a Data Plan to continue. Will I be notified on my FBI usage limit? You will receive an SMS notification from the us when your FBI quota usage reaches 90% and 100% of allocated quota. How do I check the status or the balance of my quota? You can check this by dialing *134# (USSD). I am an existing Tune Talk subscriber. Can I switch to the TTVP pack? Yes, existing Tune Talk subscribers will be made eligible to switch on a staggered basis. Please click HERE for more information on how to switch. The Tune Talk VALUE Prepaid (TTVP) pack is only available to any new subscribers, port-ins or pack switches between 14th Jan 2019 to 30th June 2019. What happens after the limited time offer period? Subscribers who are on TTVP will always continue to enjoy all products, plans, promotions and prices associated with the pack for as long as they stay active with Tune Talk, not migrate to any other new packs in the future, or if the pack is ever fully discontinued from service. The TTVP pack is valid for eligible new Tune Talk subscriber activations and existing Tune Talk subscribers who have switched to the TTVP pack from 14th January 2019 to 30th June 2019 (“Promotion Period”). New activations within Promotion Period will be on TTVALUEPrepaid tariff plan. Eligibility to subscribe to the TTVP pack is subjected to Tune Talk’s sole discretion. All subscribers who are on the TTVP pack will be able to perpetually purchase and utilize products available to TTVP pack even after the Promotion Period ends until and unless the pack is discontinued, subscriber switches to another pack or fails to keep their line active. 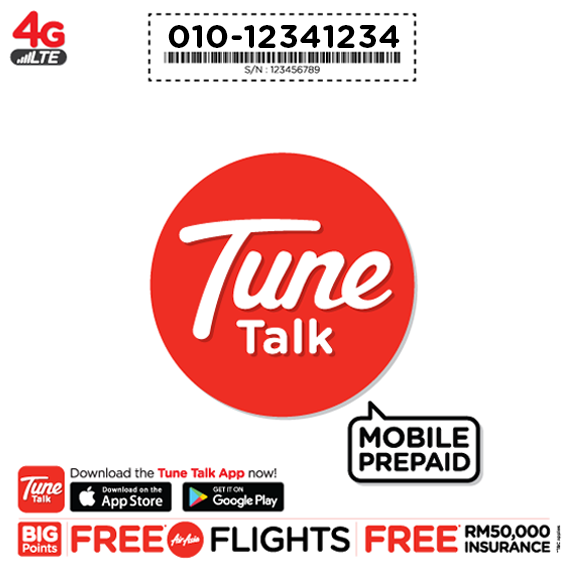 During the Promotion Period, new Tune Talk subscribers need to first download the latest version of Tune Talk App, tap at the link marked “Switch to Tune Talk VALUE Prepaid” and follow the instructions.